We're about two months away from the season 10 premiere of Supernatural on The CW (that's Tuesday October 10th at 9pm for those not sure). 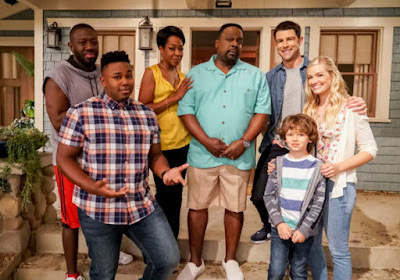 As I do every summer, today I am taking a look back at the best episodes of the past season. You know, to pass the summer doldrums of no new episodes. Now that the excitement of Comic Con is over, obviously you need something else to tide you over until the show returns, right? As usual, the title next to the number is a link to a favorite scene from each episode. The premiere episode of the season had to set up quite a few things - just what was going to happen to Sam since he started the trials? Well, he was going to die, that is until Dean calls up some help from Ezeki...wait. We all know where that ended up going. Plus Castiel is on Earth as a human without powers, along with a bunch of other angels who still do have powers and are gunning for him since he "helped" Metatron close Heaven. Plus we got to see both Bobby and Death briefly, so I'm sure that pleased some people. There was Dean in the shower, there was Gabriel with a surprise cameo, and just a lot of references to past episodes in general that made this episode fun for longtime fans. 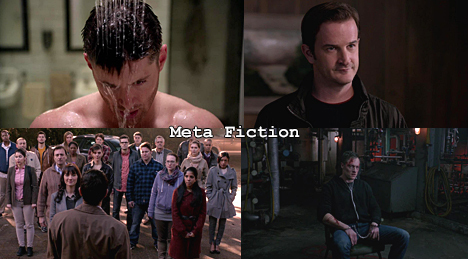 This episode was a lot to do with what Metatron wanted Castiel to do, and although I was getting sick of the angel mumbo jumbo by this point, I didn't mind it quite so much in this episode. Halfway through season nine came this episode that set up the rest of the season and even a good deal of season ten. 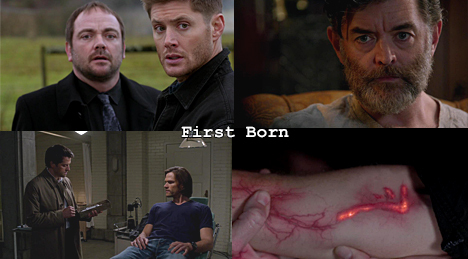 Crowley seems like he is on the Winchesters' side, but as we learn, his introduction of Dean to Cain was all a big set up to try to get Dean to turn into a demon. 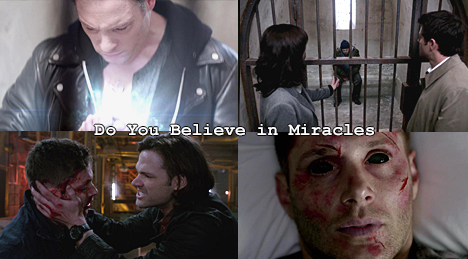 What does he hope will happen once Dean is a demon? Guess we'll have to wait and see, but we will definitely be seeing a lot more of Crowley as he is a series regular next season too. I'm sure a lot of you disagree about my order in this case, but what can I say, I love the Ghostfacers. Their first episode is one of my favorites of all time, and #thinman here was a nice departure from the rather bleak nature of season nine as a whole, giving us some much needed comic relief, if only briefly. After all, the Ghostfacers parted ways at the end of the episode as well. Hopefully not forever. 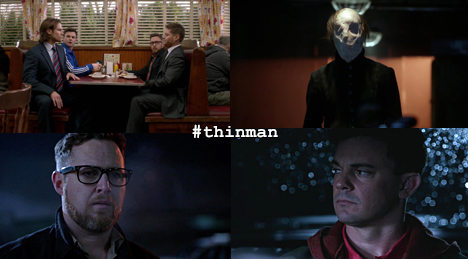 This season finale paid off a lot of plots set up throughout the season. Metatron finally gets his due, although the fact that he is just in angel jail and not actually dead does not portend well for the future necessarily. 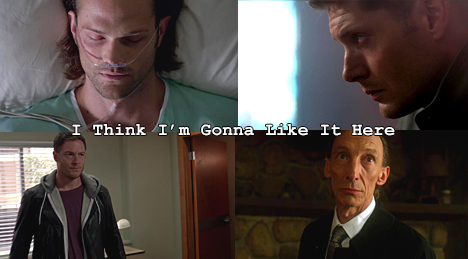 Dean's dealings with the first blade and the Mark of Cain finally come to a head when he, you know, dies. Then comes back to life... as a demon! I think some of us saw this coming, but that doesn't make it any less surprising considering they have refused to go there for so long. What does that mean for next season? We'll find out in October. There you have it! Of course, this list is only my personal opinion, so please let me know your favorites in the comments and on this here poll! woua, we really don't have the same taste. I hated Metafiction, i can't stand the angels anymore, worse episode for me since bitten and can't say between these two which is the worse of the show. Anyway this season has been horrible as a all. No doubt, it's my least favorite season. So disappointed. The only episode I liked was I think I'm gonna like it here ans the idgit I press the wrong button in the poll !!! Yeah I haven't been a fan of many of the last few seasons. There is definitely a certain amount of angel fatigue. Fingers crossed season 10 can bring something new.